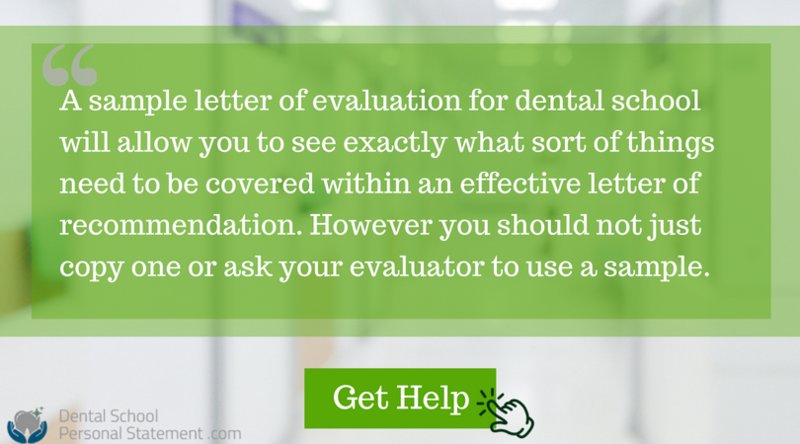 Why Do You Need a Dental School Letter of Evaluation? One of the requirements when applying for a dental school place through the ADEA (American Dental Education Association) and the AADSAS (Associated American Dental School Application Service) is your letter of evaluation. This is a letter of recommendation written about you as part of your application and needs to be written either by an individual evaluator or by a committee which will count as an equivalent of three individual letters. Typically your evaluator should be a professor that has taught you or a qualified dentist that you have shadowed or worked with. Most schools will require between 2 and 4 letters of evaluation and you should check with each individual school as to how many they require and who needs to write them. A sample letter of evaluation for dental school will allow you to see exactly what sort of things need to be covered within an effective letter of recommendation. 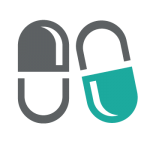 However you should not just copy one or ask your evaluator to use a sample. Your letters of evaluation will need to be clearly written about you and your achievements and ambitions. Your letter needs to be written in a clear and concise manner and should sing your praises in an effective manner. Information regarding the specific programs that you are applying to. This will definitely help to get the most specific letter of evaluation. Clear statement of what you see as your career plan; your statement of purpose if already written. Show that you are thinking in the long run! Copies of transcripts, grades, GPA, etc. All the important papers that can demonstrate your academic excellence and prove that you are a good student. List of what classes you have attended and any special achievements within them. It is important to focus on the most relevant classes though. Information regarding any relevant extracurricular activities.It may show how outgoing you are, and demonstrate your personality a bit. Any other information you are providing such as your resume. Electronic. The evaluator will be emailed with the required information via the email address that you provide and they will then respond through the evaluators portal. Paper letter. The evaluator will receive a letter requesting an evaluation letter which should then be attached to the letter that they write and returned. 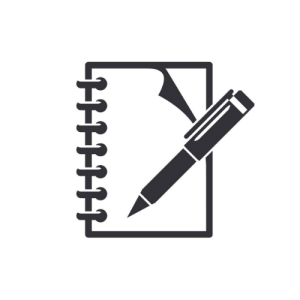 If you have been asked to provide a letter by a student or if you are student that has been asked to draft a letter for your evaluators approval and signature we can help. Our service employs writers that are both higher degree qualified in dentistry and also highly experienced in all aspects of the application process. They will work with you to craft effective letters of recommendation and dental school personal statement that will be unique and error free. So if you need help with writing a letter of evaluation just contact our experts here today for affordable help that you can trust. 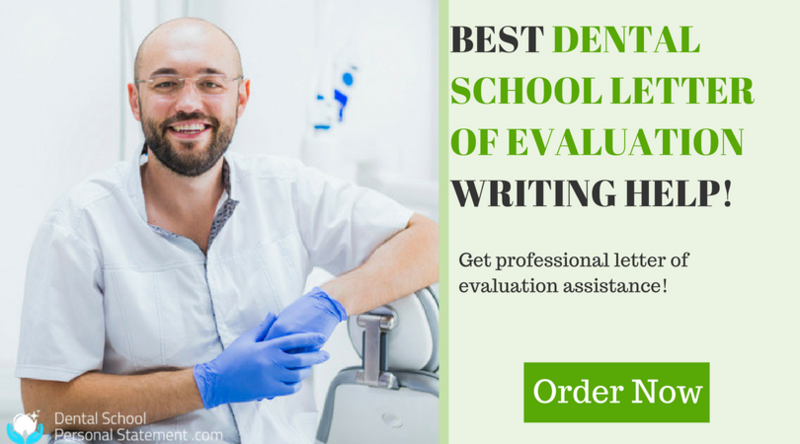 Get the help with your letter of evaluation for dental school from our professionals!